Here in Las Vegas, roofs are constantly exposed to high temperatures that cause a gradual breakdown of the roofing materials. If you’ve noticed a minor leak or other wear and tear on your industrial or commercial roof, it could just be in need of a roof coating. The professional technicians from The Original Roofing Company can take care of the job for you and protect your investment for as long as possible. 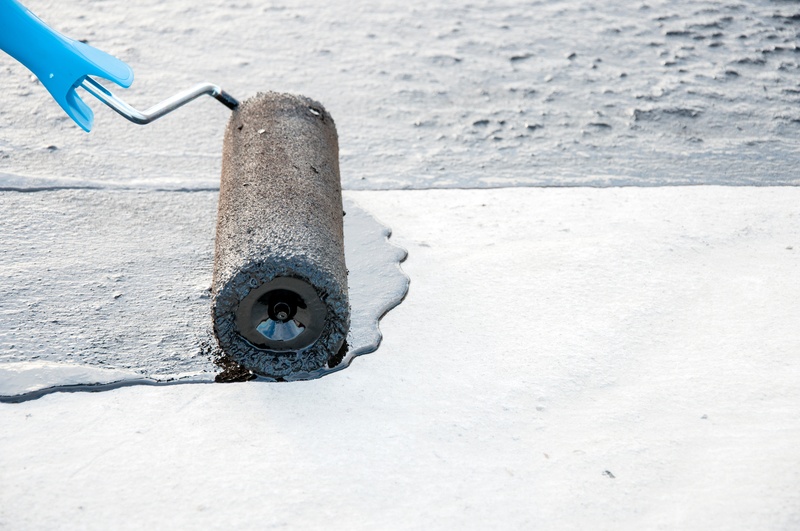 Roof coating systems are designed to extend the life of an existing roof before a full re-roof is needed. If your leak is addressed promptly, you may be able to get a roof coating and avoid repairs for a little while longer, potentially saving yourself thousands of dollars. It’s essential to have a professional technician inspect your roof for potential problems regularly so that you can identify small problems before they become big ones that result in major repairs or a full roof replacement or restoration. Roof coatings can renew your roof surface. Also, coatings provide protection from the elements. Coatings create a seamless membrane that stops leaks and resists the ponding of water. They are also highly reflective, so they keep the surface of the roof cooler, allowing less heat to enter the building. These coatings can last for 10-15 years before you’ll need a reapplication. The Original Roofing Company provides professional application of acrylic and silicone roof coatings at a reasonable cost. Our expert roofing technicians are continuously trained on the most recent technological advances in materials and application techniques in order to provide the best service possible. Roof coatings and cements are usually one-component products that our professionals can apply directly from the container. Typically, they are made up of a resin, reinforcing fillers, and a carrier solvent as well as optional reflective pigments, which we recommend to keep your commercial or industrial roof cool. Once applied, the carrier solvent will evaporate from the coating and leave behind a cured, water-resistant film to protect the roof. For over 50 years, The Original Roofing Company has been serving the Las Vegas area as a premier roofing contractor. This means that you can trust that we’ll still be around to back up any type of warranty we offer you. Our family-owned business takes pride in being an honest, reputable company that provides quality work from highly trained technicians. Each member of our team has an average of 10 years’ experience in the industry and specializes in a particular type of roofing system. Many of our competitors will just do a band-aid of a repair, but we will do what’s best for the long-term benefit of our customer. We want you to get the maximum value from your roof so that you can enjoy your investment for years to come.